Bosque hosted the Bosque Spring Invitational at Canyon Club April 8th. Eleven schools participated, including 5A golf-powerhouse schools, Cleveland and Rio Rancho. 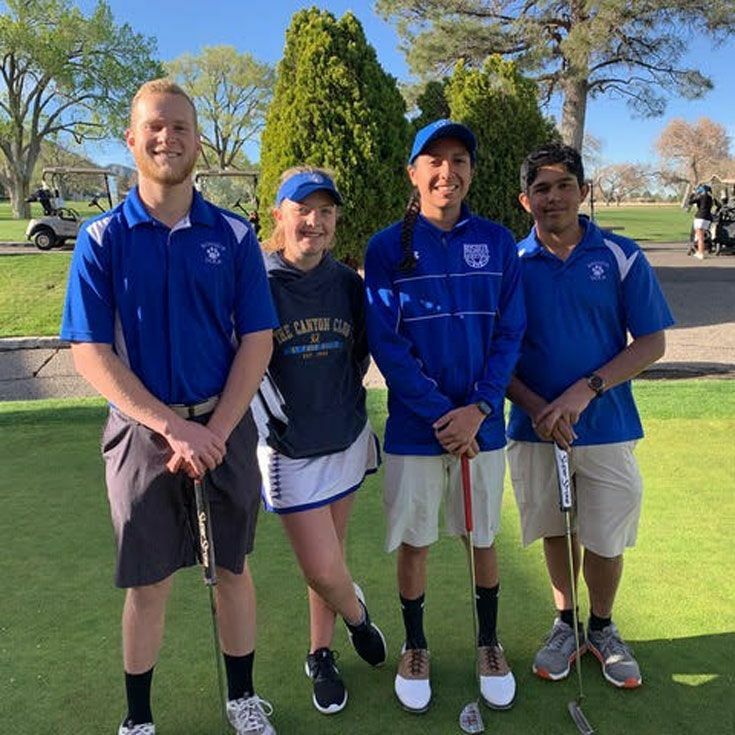 Members of the golf team - Phillip ’19, Michael ’20, Lauren ’22, and Tahir ’22 all handled the challenging course very well. Lauren ’21 was, however, the star of the show. She placed 6th overall in a very strong girls field, gaining her second qualifying leg for State (out of 3 required)! Well done, Lauren! Bosque was honored to have two visiting USGA Rules Officials, Griff Lechner and Gary Bauerschmidt, assist in the tournament, marshaling the field and helping coaches and players become more familiar with the new rules of golf implemented in January 2019. In addition, Bosque’s own USGA Rules Official, Mike Korbas, Bosque Assistant Golf Coach, was present at the tournament. Thanks also to Hank and Barrie Axen for their help with getting packages out to coaches pre-tournament and checking all the scorecards and posting scores post-tournament!